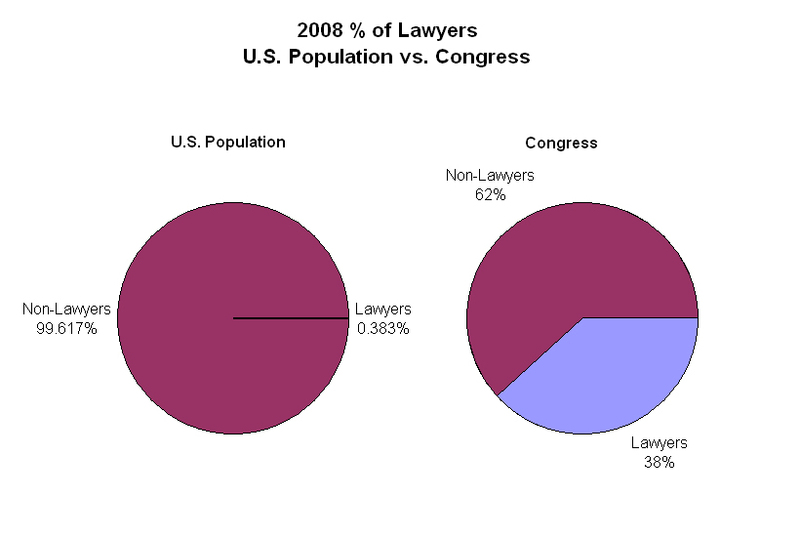 The federal government of the United States of America is divided into three branches: executive (the president and vice president), judiciary (Supreme Court and federal judges) and the Congress (the House of Representatives and the Senate). Of these three, two branches are elected, the executive and Congress, while the judiciary is appointed by the president and approved by the Senate. The judiciary affects public policy, and therefore day-to-day life, only when a case is brought before it and the court rules on the case based on legal precedent and interpreting the U.S. Constitution. The president has a range of executive powers and can implement some policies and changes in regulations without any involvement of Congress, but for almost everything important, nothing happens with public policy (spending, laws, regulations and requirements) in the United States without Congress. For instance, a president can propose policies and laws all he or she wants, but nothing happens until Congress both passes the law, and critically, allocates funds to pay for that law. As the saying goes, “Congress controls the purse strings.” No matter what a president does or doesn’t do, in the end, Congress determines how much money will be spent and what it will be spent on. Consequently, when you’re looking for responsibility related to government spending, the buck stops with Congress. The same goes for public policy in general. When you’re looking for responsibility for what’s going on the in the country and where the country is headed, look no further than Capitol Hill. 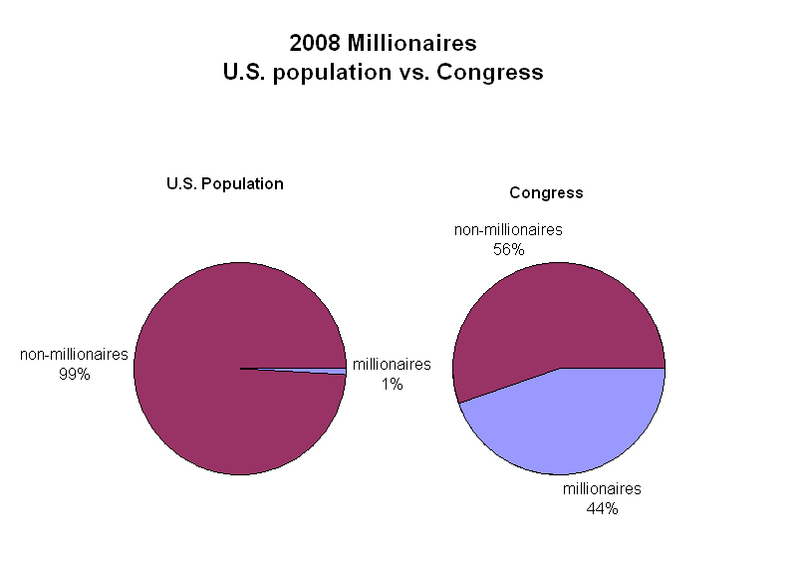 Since Congress creates and funds the laws of the country, it is primarily responsible for the state of governance in the United States. Congress creates and implements the public policies that determine the day-to-day realities of every person in the country. Congress’ leadership and vision, or lack thereof, determines the short-, mid- and long-term fate of the nation. In short, Congress is driving the bus, and the quality of the job they do driving our bus determines if the bus makes it to the station or goes over a cliff. So, who are these people driving the national bus? The current Congress, the 111th in the nation’s relatively brief history, is composed of 435 members of the House of Representatives, allocated by the states’ population; and 100 members of the Senate, two per state, regardless of the state’s population. In the House, if a state has a higher population, that state is proportionally allocated a larger number of seats of the 435 available, thus giving the more populous states more votes. In the Senate, since each state gets two Senators, low population states have just as much power as high population states. The original Congress of the United States, like the electorate (the people eligible to vote), was restricted to white male land owners. 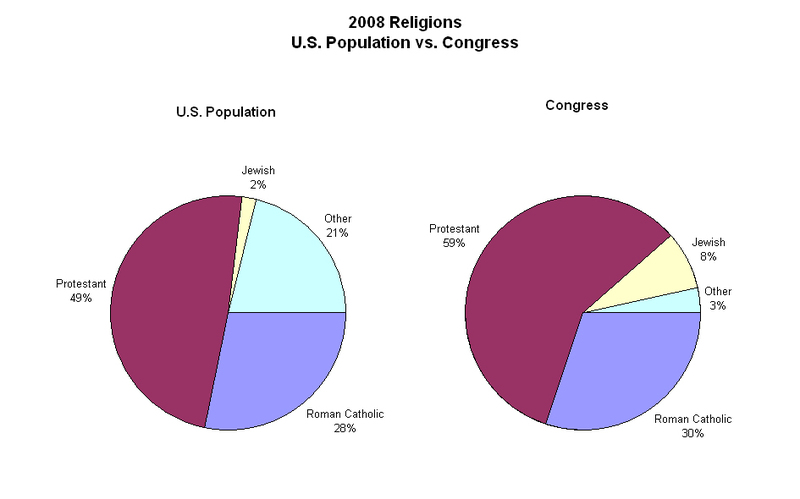 Those early Congresses did not accurately reflect the population of the country, which included women and minorities. 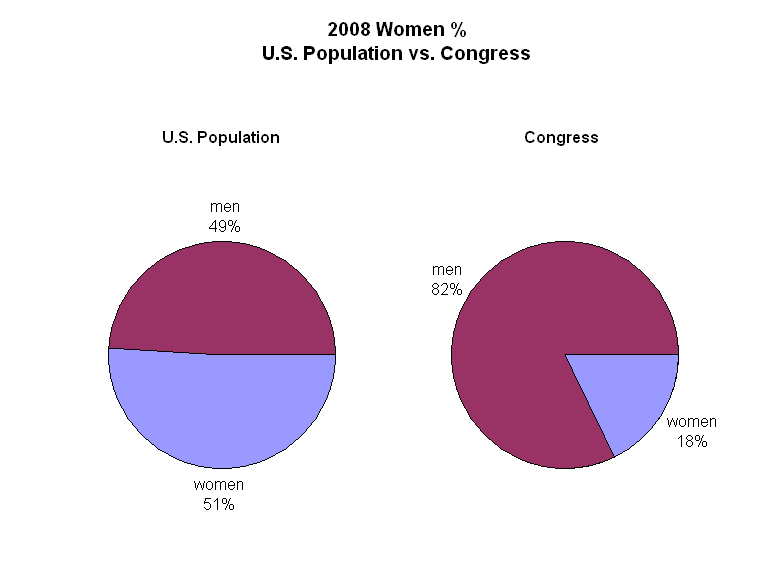 Today’s Congress, while including women and minorities, still does not reflect the population of the United States. 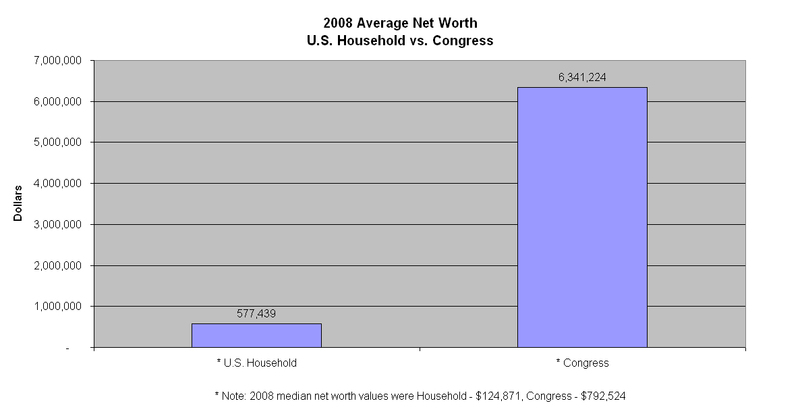 For instance, today’s congress is much different financially than the U.S. population. 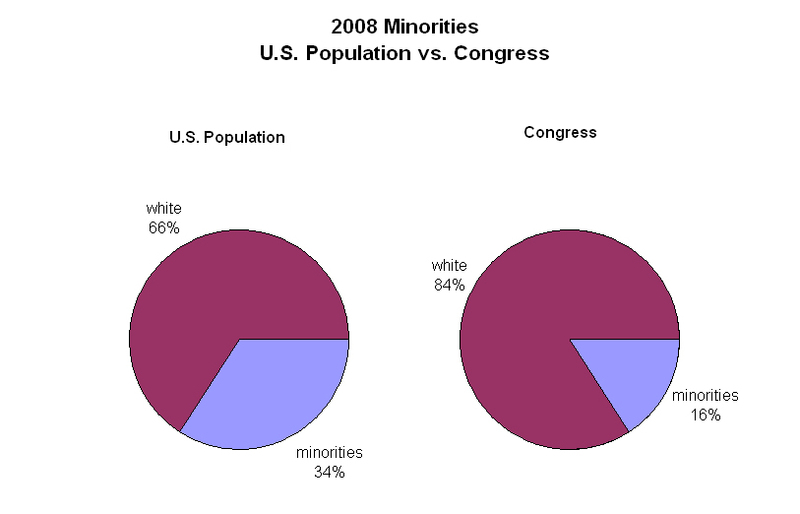 The current Congress is also very different demographically than the United States population. Can a Congress whose members are significantly different from their constituents financially, professionally and demographically properly serve those voters? Can a Congress so wealthy, so lawyerly, so male and so white provide leadership and establish public policy that serves the public instead of other interests? Apparently, the American public doesn’t think so. A February 11, 2010 poll showed that fewer than two in ten Americans believe that government is run for the benefit of all the people. Almost eight out of every ten people believe that Congress and government are operated for the benefit of a few big interests. Given those views, it’s no surprise that the same poll revealed more than four out of every five Americans believe it is time to vote every last member of Congress out of office and start over with all new Representatives and Senators. The American people believe it’s time for a shift change; it’s time for a new team of bus drivers to take the wheel. ← Wanna get rich? Get elected!